Pacers: Indiana’s 33-point win at Utah was the fifth time the Pacers have won a road game by at least 30 points and first in 22 years (when they won at Vancouver 127-80 in December 1996). 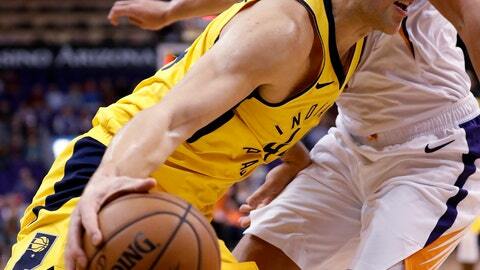 … Indiana reserves scored a season-high 62 points in the rout at Utah. … McDermott and Sabonis were a combined 8-for-11 in the second quarter against Phoenix. …. McDermott scored 21 for the second game in a row after going scoreless in his previous game.